Gove Has Found Something Else To Try & Start A Fight On…. The workload action being followed by the NASUWT and NUT is nothing more than teachers following common sense and contract. It puts a cap on excessive workload. Well-run schools have reported that it pretty much adds up to what they generally want teachers to do outside of the teaching, preparing, marking, assessing, planning, researching and working with children and families that makes up the real job. The action addresses the silliness of excessive reporting, overly detailed plans, observations and OFSTEDS-for-the-sake-of-it, pop-up initiatives and tasks, and a whole host of things that have been in legislation for years anyway as tasks a teacher cannot be required to do. The workload action being followed by the NASUWT and NUT is a pretty pallid response to teacher stress and burnout, a tame thing really, and it could easily be criticised for being a bit of a damp squib. Teachers will always do too much. They never know when to refuse, or when they can refuse and often their own head teachers want them to leave school before the site manager complains about having no home life any more. It’s upset Michael Gove though. He’s going to smash all those teachers working to contract. He’s going to take money off them. He’s going to make them pay for not destroying the site manager’s marriage. And why has Mr Gove made his announcement ten weeks after the start of action? We can only speculate. Court action over grades, EBAC opposition, Labour’s stunning lead in the polls, adverse criticism over the STRB report and their silly plans for pay or maybe, as many (including me) have commented, he’s looking for the fight he needs for his political career to make a real mark. Or maybe it’s working. This courteous, professional action, backed by 95% of teachers, so they can get on with teaching, not meeting, is both contractual and respectful. Gove so wants the teaching unions to start turning over cars and setting fire to them that he has started to imagine it and to salivate about punishment. Most heads and governors have got more sense and respect for their teachers than to do his dirty work. If it had been a problem for them, they’d have raised it ten weeks ago, surely. 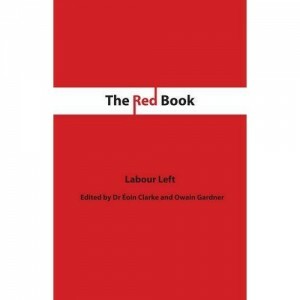 Labour Left is a Think Tank for the Left of the Labour Party. If you’d like to join us, click on the icon below to go to our application form. Want to keep your pet in good shape?